Hundreds of years ago, Spanish explorers once traversed the land that is now Northeast Georgia. Cherokee Indians were forced from the land in the late 1800s. 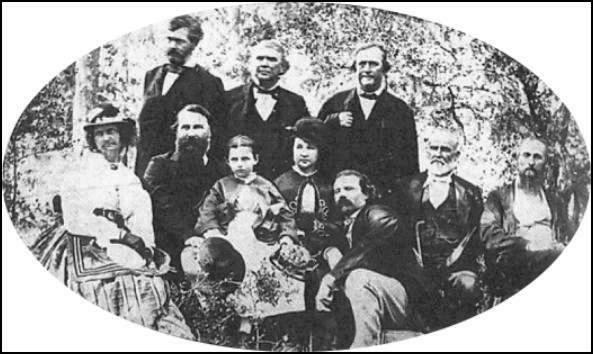 A gold rush brought in thousands of new white settlers. And today, several sites across the area attempt to tell (and show) the story of what once was. 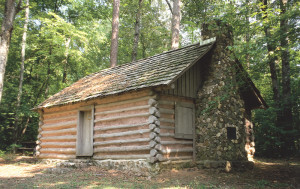 From poets to farmers to Civil War heroes, Northeast Georgia’s history is unique and exciting! The Byron Herbert Reece Farm and Heritage Center is located in Union County, Georgia, just south of Blairsville. The home of acclaimed poet and novelist Byron Herbert Reece, the Farm is a place to learn about the man and early rural life in Appalachia in the mid-20th century. It’s also a place to enjoy the beauty of Wolf Creek and the surrounding mountains. The Farm consists of the Visitors Center, Poetry Trail, Reece’s writing studio, the Main Barn (which houses the Farm exhibits and the Reece Gallery), the Corn Crib, the Chicken House, the Smokehouse and the Spring House. State-of-the-art exhibits tell the story of the small farmer in Appalachia, showing the tools and methods used to grow food to feed the family. Reece and farming are linked, both in his way of life and in the rhythm of his words on the page. Also on the site are a pavilion available to rent for weddings and other events, picnic tables and the beautiful Wolf Creek. You can learn more about the Farm with a free app, available on Google Play and iTunes. The Farm and Heritage Center is one of the main projects of the Byron Herbert Reece Society. Click here to learn more about the Society. 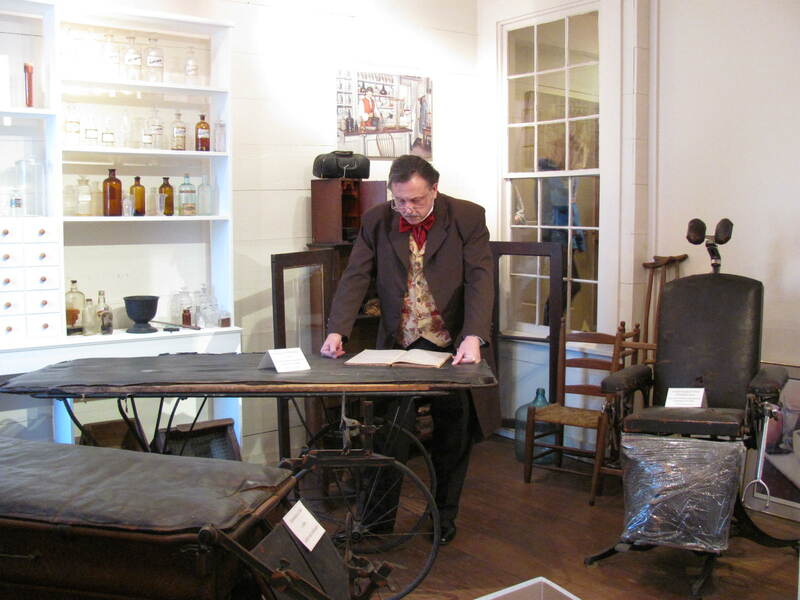 The Crawford W. Long Museum in Jefferson, Georgia, provides educational exhibits about the life and career of Dr. Crawford W. Long, the physician who, on March 30, 1842, first used ether for surgical anesthesia. The Gallery takes you on a journey through Dr. Long’s life … from his exceptional education to his early days as a physician and his discovery of the first anesthetic … through the days of the Civil War and Reconstruction. Visit the site of America’s greatest contribution to medicine and learn how this “country doctor” came to be the father of painless surgery. The mid-1800s Pendergrass General Store building traces the development of goods available to small-town residents over time. Particular emphasis is given to household items, the development of textiles from home spinning to “store bought,” and the advancement in canned goods with improvements during America’s Industrial Age and the dawn of marketing. 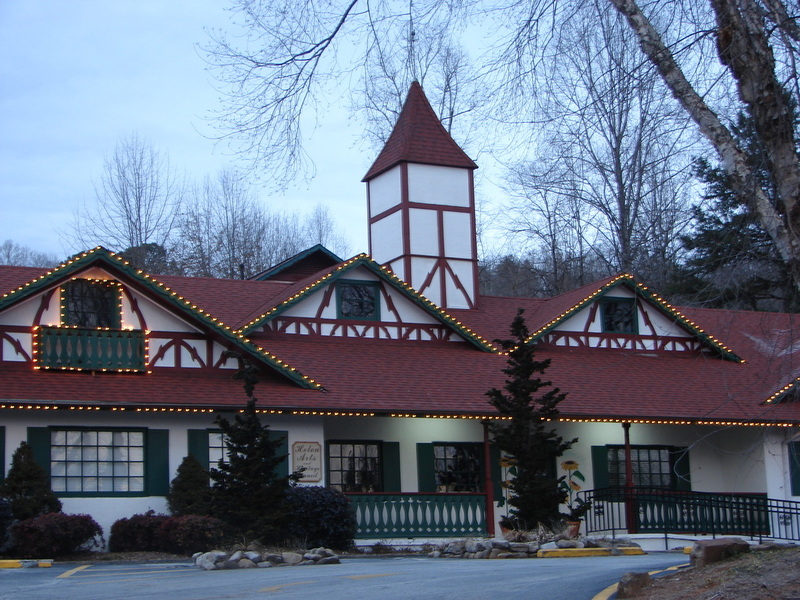 The Currahee Military Museum in Toccoa, Georgia, holds special military history for events from the Civil War, WWI and WWII, with a focus on the Paratrooper Infantry Regiment that trained at Camp Toccoa in the early 1940s. The camp is now gone, dismantled soon after the war, but memorials have been erected to Camp Toccoa, the paratroopers and Colonel Robert F. Sink. More than 17,000 men trained at the camp, which included the 506th, 501st 511th, 511th, 517th and 295th Ordnance Heavy Maintenance Company. Research is still being done on other groups that were here during that time and after the last regiment left in 1944. Memorials to these Units are located on the property that was once the entrance to Camp Toccoa. After the war, the came site became an industrial complex. Patterson Pump has a collection of photos of the Camp site, from the early beginnings of the site as the company began operations in Toccoa. Across the road, Milliken & Company has the only standing building left of the site. Visitors, historians, tour groups and reunion groups come from around the world to visit the area that became “home” to the men during their training at Camp Toccoa. The Museum houses photos, documents and memorabilia of WWII. The Folk Pottery Museum of Northeast Georgia showcases the handcraft skills of one of the South’s premier grassroots art forms, and explores the historical importance and changing role of folk pottery in southern life. Northeast Georgia’s pottery tradition is nationally known. The Meaders family of White County was featured in Allen Eaton’s 1937 book, Handicrafts of the Southern Highlands, and was honored with a special event at the Library of Congress in 1978, when the Smithsonian Institution’s documentary film on the Meaders Pottery was released. In the year 2000, Northeast Georgia received a Library of Congress “Local Legacies” designation for its pottery heritage. The tradition also has been featured in magazines, books, videos, exhibits and festivals such as the Southern Crossroads Marketplace at the 1996 Olympic Games in Atlanta. Until now there’s been no institution devoted to Northeast Georgia folk pottery, not even in its home area. Dean and Kay Swanson, former owners of the Standard Telephone Company, have committed to erect this museum as their way of giving back to the people of the area. Collector and folk potter Michael Crocker helped them assemble the core collection on which this exhibition is based. Plan a visit to Mountain City and take a walk through the past at the Foxfire Museum & Heritage Center, a look at a unique time and place in America’s past that is very nearly gone. Here you will find homes, tools, trades, crafts and a look at the lifestyle of the all-but-vanished pioneer culture of the Southern Appalachian mountains. Foxfire students began interviewing their families, friends and neighbors in 1966. Many times, these folks would give the students some old tools or the finished hand-crafted items they were discussing or documenting. Very quickly, Foxfire grew an extensive artifact collection. When The Foxfire Book became a national phenomenon, Foxfire gained a source of capital (book royalties) to fund new growth. In 1974, Foxfire students elected to purchase land on Black Rock Mountain to create a physical presence in the community. About half of the 20+ log cabins at the Museum are authentic structures, standing nearly as they were originally built as many as 180 years ago. The rest of the cabins are traditional designs, constructed from usable pieces of barns, homes or other buildings too deteriorated to be reassembled. They represent structures that could not be found intact or would not be parted with by their owners. The Longstreet Society is dedicated to the celebration and study of the life of Lt. General James Longstreet, CSA, and especially his skill and valor as a soldier and as commander of the famous old First Corps of the Army of Northern Virginia; his fervent dedication to the restoration of the American Union; his love of his Southern homeland; his advocacy for the ideals of peace and understanding among all peoples; and his belief in the brotherhood of man. Longstreet Home (959 Longstreet Circle) — Shortly after moving to Gainesville in 1875, the General bought a 100-acre farm and built his home on it. He raised muscadines, which are a domestic grape, and turkeys and sheep. In 1889, the home burned, and his first wife, Maria Louisa Garland Longstreet, died a few months later. Today the site is graced by a handsome standing statue of the General. Piedmont Hotel (827 Maple Street) — In its heyday, the Piedmont was an imposing three-story building with 36 rooms in two wings joined by a connecting structure which contained the stairwells, lobby and ballroom. General Longstreet opened the hotel on June 13, 1876. Today only the ground floor of the north wing remains and contains a library, museum, meeting room, Woodrow Wilson room (his daughter Jesse was born here) and the Longstreet Society headquarters. The Helen Longstreet Home (746 Green Street) — The General lived here with his second wife, Helen Dortch Longstreet, until his death. He and Helen had a chapel built in the basement and Gainesville’s first Catholic Church, Saint Michael’s, held its first services there. This house is privately owned now; it is a drive-by look only. The Grave Site (1080 Jesse Jewell Parkway) — The General chose “good ground,” similar to that of the Union position at Gettysburg, for his family burial plot in Alta Vista Cemetery. He was buried here in 1904 and, even today, a steady stream of admirers come to pay their respects and bring flags, cigars and other tokens of esteem. Since 1799, the Shields-Ethridge Heritage Farm has remained agriculturally productive. 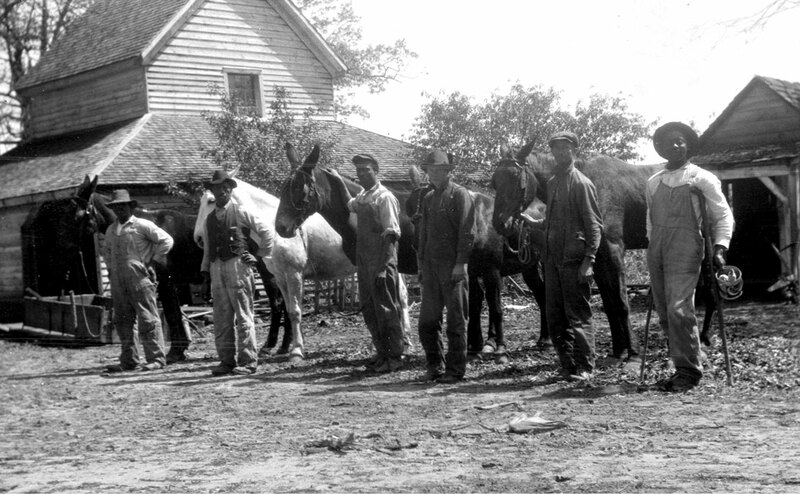 Over the course of the last two centuries, the Shields and Ethridge families adapted to larger trends in upcountry Georgia agriculture, from the first crops of tobacco to the planting of cotton and grains, and then cattle grazing. The story of the farm begins when our nation was new at the end of the 18th century and continues today as we celebrate the history and heritage of agriculture in northeast Georgia. Two hundred years of working the land, family growth and technological progress shaped the current farm site. 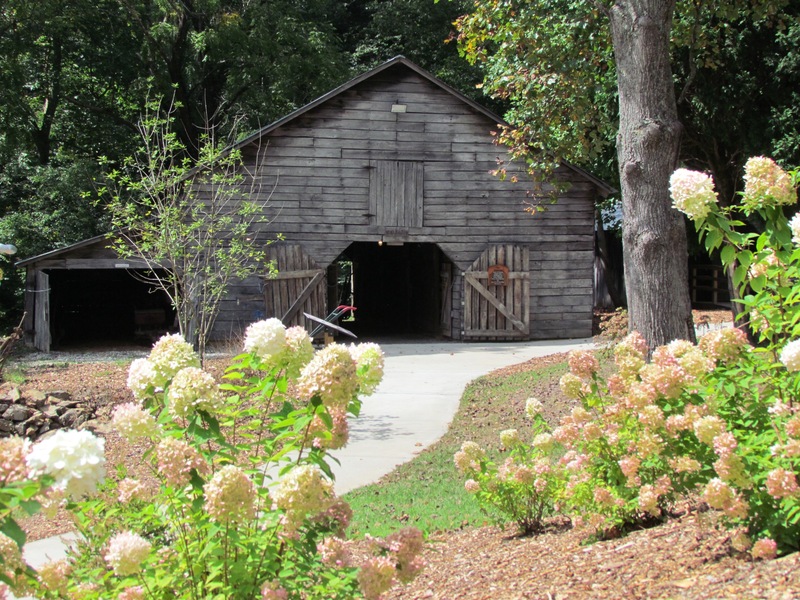 From about 1899 to 1909, Ira Washington Ethridge constructed the buildings, transforming the farm into a bustling center of social and economic activity in Jackson County, Georgia. Today the farm complex is quiet and open for exploration. This outdoor agricultural museum functions as an educational and interpretative facility. 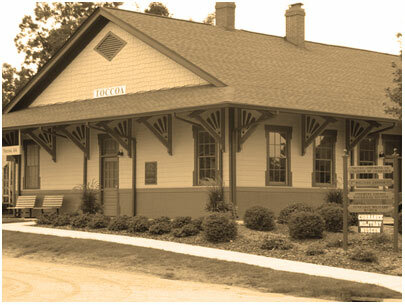 It’s unique for its collection of intact historic buildings that exist in their original location and are listed on the National Register of Historic Places. Take a moment to stop and imagine wagons rolling by, the smell of freshly plowed soil and the hum of farm activity.